Dog tails are essentially a continuation of a dog’s spine, with flexible vertebrae. Tails may help our dogs balance, run, swim, stay warm and communicate their moods. 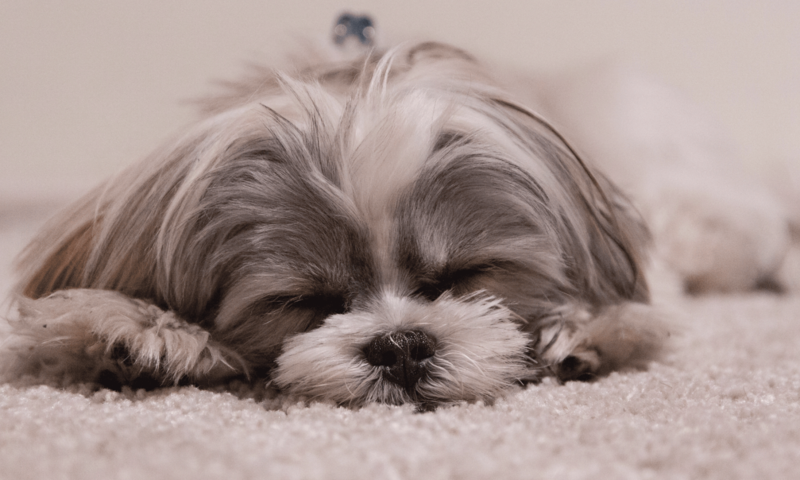 Let’s look at the tales behind some dog breeds with curly tails. Samoyeds are among the dog breeds with curly tails. Photography courtesy Paul Martin, Wolf Packs, Inc.
Celebrated for our Sammy Smile, we’re a white arctic breed with one of the loveliest tails in the canine kingdom. My tail isn’t tightly curled, but rather curls forward over my back in a graceful swirl. Our loveliness, however, is but one admired attribute. We’re an athletic breed with substantial power and agility. 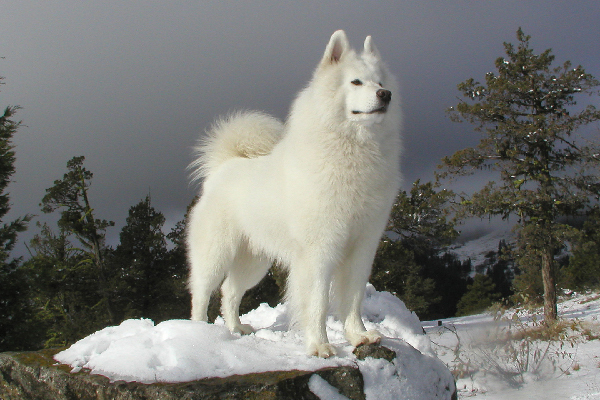 The Samoyede people developed us to work, hunting and herding reindeer and hauling sleds in Siberia. Our thick tails come in handy in such cold climates; we can sweep our tails over our noses when sleeping outside. 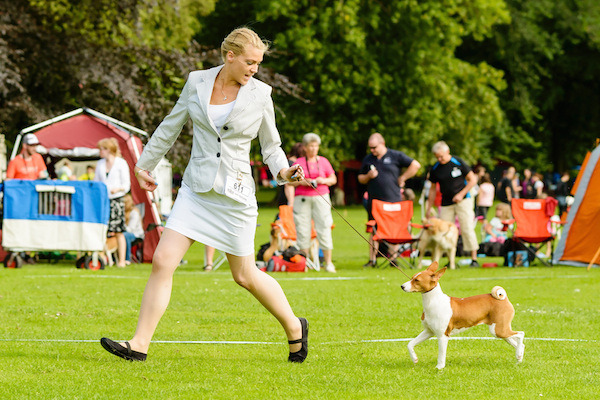 A Basenji dog displays his curly tail in the show ring. Photography by Imfoto / Shutterstock.com. 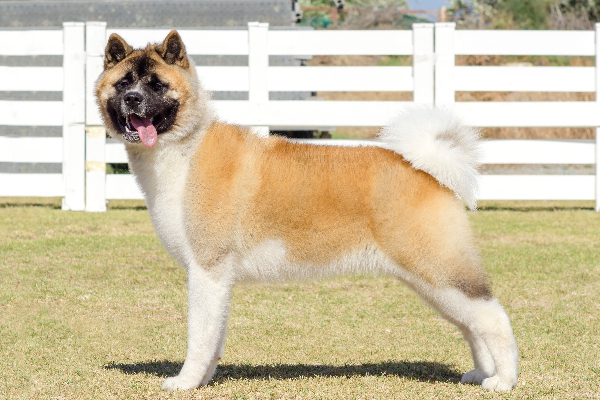 The Akita is a dog breed with a curly tail. Photography by f8grapher | iStock / Getty Images Plus. I have a large, plush and curled tail that falls back over on my back. As a pup I was born with a straight tail, but my tail curled (we call it a “flip”) within a few weeks. As I grew, my tail curl became tighter. While my tail never fully uncurls, my mood impacts how tightly I hold the curl. For example, I may uncurl it slightly while sleeping. I carry my tail (and my entire countenance) proudly. Fearless and faithful, I was developed as a versatile hunting and guard dog in Japan. Both then and now, I’m deemed a national treasure in Japan. I save my love and respect for family, but everyone is welcome to admire my stunning tail. 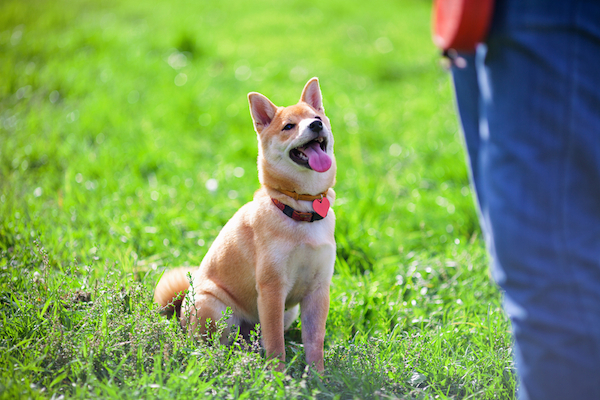 The Shiba Inu carries his tail in a sickle or curled position. Photography by otsphoto / Shutterstock. I too am an ancient breed of Japan, developed to hunt in wild shrubs and brush. 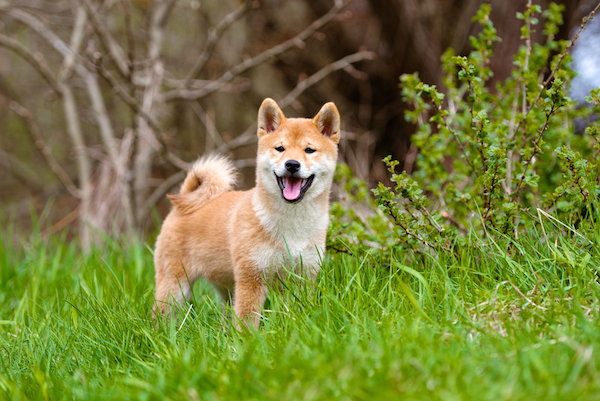 My name reflects my history: Shiba Inu can be interpreted as “little brushwood dog.” Spirited and bold, my expression evidences my good nature. We’re small compared to many other dog breeds with curly tails. We’re only about 20 pounds, but we’re confident, poised and courageous. I carry my thick and strong high-set tail over my back in a sickle or curled position. The hair on my tail is slightly longer than the rest of my coat. My tail facilitates my balance, mobility and grace. 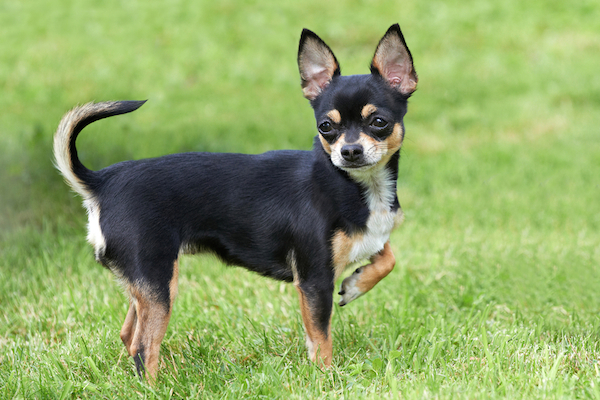 Chihuahuas are a small dog breed with curly tails. Photography by Dennis Jacobsen / Shutterstock. Unlike the northern dog breeds with curly tails, we Chihuahuas didn’t need tails to cover our noses for warmth. Historians generally agree that we originated in present-day Mexico and descended from the Techichi, a small dog. The rich Aztecs thought my forefathers were sacred. My tail is carried in a sickle (or open curve) or in a lovely loop over my back. Those of us with long coats have the added beauty of pluming and feathering on our curled tails, too. Thumbnail: Photography by supercat / Shutterstock. Tell us: Does your dog have a curly tail? What breed or breeds is she? The post 5 Dog Breeds With Curly Tails appeared first on Dogster. Previous PostPrevious How Should You Treat Doggy Dandruff?